Immuto is a collective of artists creating transformational spaces and stories that explore human connections. Through cross-cultural and cross-discipline collaborations and explorations, Immuto creates spaces and experiences immersing the audience in a sensory and layered narrative that can change how people feel, think and act. Light of the Forest is an immersive art installation and sensory experience inspired by ancient shamanic rituals and the cycle of seasons. A mindful journey into the forest of our subconscious – through light, sound, scent and movement – that challenges our perception of reality and explores how we can reconnect with our sense of self and the world. Italian Cultural Institute in Helsinki. COSE COSMICHE (Cosmic Things), founded 2011 and curated by the artists Helga Franza and Silvia Hell, is a platform/place/curatorial project in which artists, scientists and researchers of various fields are asked to present a reflection, a thought on space, time, energy, matter, void. It is powered by the Arthur Cravan Foundation. In 2015 Cose Cosmiche launched Les Sublimes Archive, an ongoing internet archive of notebook of artists, researchers, scientist, philosophers etc. The Archive was inspired on the Parisian 1880 ‘Sublimes’ and de-growing, deceleration and on the attitude of sharing ideas. Les Sublimes Revolution will exhibit a selection of notebooks containing notes and jottings by artists, philosophers, scientists and researchers from various disciplines and archived in Les Sublimes Archive. Visitors will be permitted to consult and to become collectors of these most intimate materials of the creative process, so rarely exhibited or made available to the public. Marco Bassan is a multimedia artist who lives in Rome. Bassan will present the project Oracle House, which opens up a discussion about the global art market and the art’s anticipatory potential. He will create a prophetic space including paintings and one installation. Finnish Darkroom Association was found in 2016 in order to promote analog photography in Finland. The association runs Mörk -darkroom in Helsinki, Vallila. In the darkroom, the association organizes multiple proofing courses for everyone from beginner to more advanced. The association is actively cooperating with various actors from the field. Currently, Finnish Darkroom Association is preparing a large festival of analog photography together with The Finnish Museum of Photography in Helsinki. The aim of the association is to increase the visibility and valuation of black and white, analog photography in Finland, as well as share information concerning the methods and possibilities in the field. For Art Fair Suomi, Finnish Darkroom Association has curated a collection of works from the member artists, presenting something new and creative in the field of analog photography. The theme of the series of works from multiple artists is water. Galleria Huuto is an artist run space for art. Galleria Huuto is conducted by a non-profit collective Mehiläispesä ry – Bikupa rf, which consists of ca. 120 artist members. Galleria Huuto is focusing on professional and highly skillfull exhibitions at Galleria Huuto’s current location. Additionally Galleria Huuto executes artistic projects in Finland and abroad. Collective’s accomplishments in organizing exhibitions begun in 2002, when 25 young artists founded the first Galleria Huuto at Viiskulma, Helsinki. Huuto was back then one of the first artist run galleries in Finland. Huuto’s booth at AFS is a carnival-like performance that uncovers the random relation between arts and economy. The space is dominated by a large, colourfully lit Wheel of Fortune, which they are selling lottery tickets to. Prizes are valuable art pieces as well as copies, pieces found or defined as worthless. The prizes are partly conceptual, pointing critically at the conventions of ownership, authority and originality.The main prize is an exhibition opportunity in Galleria Huuto’s exhibition space IV in spring 2020. Every day there is also one bigger prize, for example a week long residency on the island Örö by the South coast of Finland. The Association of Finnish Sculptors is the national organization for Finnish professional sculptors, established in 1910. Its main objective is to promote and present Finnish sculpture domestically and abroad. As an expert the association offers guidance and information on questions relating to sculpture and represents the professional, economic and social interests of sculptors. The Association of Finnish Sculptors has 450 members. The association maintains Galleria Sculptor as well as organizes events, seminars and exhibition projects and takes part in for example art fairs. Galleria Sculptor’s diverse exhibition program presents a wide range of cutting-edge art every year, with a focus on contemporary sculpture art. The exhibitions are principally innovative and surprising, challenging the viewer to see things differently. Sculptor also has a sales collection that showcases small sculptures by members of the association. The Association of Finnish Sculptors is present at Art Fair Suomi 2019 with an exhibition of works by Johanna Ilvessalo, Elina Strandberg and Leena Turvanen, exploring the theme of temporality. In addition, the association presents its activities and projects such as Sculpture Expanded – Moving Laboratory of Public Art taking place in Helsinki during summer 2019. Helsinki Artists’ Association (founded 1967) has 816 professional artist members who present a wide range of different art forms: painting, graphics, video, performance and sculpture, just to mention a few. Main exhibition space is Gallery Katariina and Studio in downtown Helsinki, where we have 17 + 17 exhibitions a year. Helsinki Artists’ Association runs the Artotheque in Rikhardinkatu Library and the Art School for Children and Young People and Course Center in Cable Factory. We also rent out the Jettybarracks Gallery in Suomenlinna and collaborate in Malmitalo Gallery with Helsinki City. In Gallery Katariina the aim is to present a wide range of contemporary art. At AFS, Katariina presents artists Maija Albrecht, Nina-Maria Oförsagdt and Sami Saloma, as well as workshop on community art, Coloring Book 2.0, with our school, and Artotheque. The three artists are interested in concepts of human being, nature and urban living. Maija Albrecht is graphic artist who works with delicate plant, bird and insect motifs. Site-specific video works by Nina-Maria Oförsagdt travel in time and history as urban tales. Sculptor Sami Salomaa makes his grand sculptures of human being of small pieces of wood he has found. Artist Collective Kunst is a cooperative unit of 6 artists: Christina Holmlund, Pia Paldanius, Jarmo Palola, Sirpa Päivinen, Anu Suhonen, Julia Weckman. Kunst founded Gallery Lapinlahti in 2016 and curated and coordinated the exhibitions in the former mental hospital of Lapinlahti until 2019. In the autumn of 2018, Kunst received the Art Prize of Uusimaa from Arts Promotion Center Finland. Art by Meter is an art installation and a social sculpture by Artist Collective Kunst in Art Fair Suomi 2019. Art by Meter comments values of art and artists’ work as well as art being a subject of investments. Art is produced as continuous feed, and buyers can purchase art by meter. To this project Artist Collective Kunst curated a selection of artists who exhibited at Gallery Lapinlahti during the years 2016-2019. Founded in 1929, the Finnish Painters´ Union is a nationwide association of over 1300 professional painters. It promotes the visual arts and the professional and social interests of artists, and provides its members with various services. The Finnish Painters´ Union is celebrating its 90th anniversary in 2019 by staging a wide-ranging series of exhibitions throughout 2019. These exhibitions and associated events present the diversity of the art of painting and bring it to the public in 18 different locations around the country. The focus of the celebrations is the art of painting as expressed through painters, and during this anniversary year the public will have the opportunity to experience and enjoy its strength and its ability to impress. tm•galleria of the Finnish Painters’ Union has a versatile profile focusing on new Finnish painting. 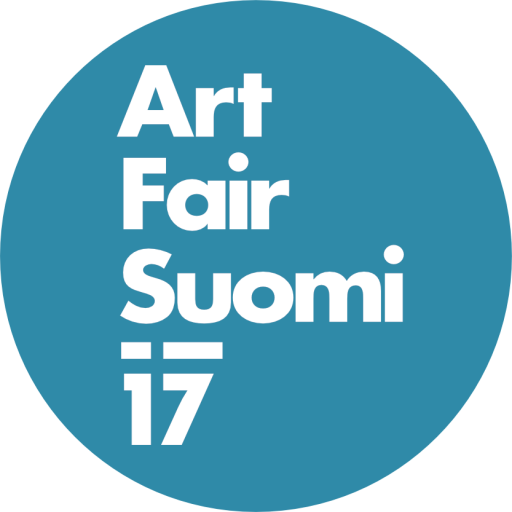 At Art Fair Finland they will exhibit four contemporary visual artists: Sampo Apajalahti, Eeva-Leena Eklund, Noora Nio-Juss ja Jouni Toni. Established in 1976, Ed Video is a charitable artist-run centre with a mission to foster the creation, exhibition and appreciation of media arts. With 160 members, Ed Video encourages the creation of innovative new projects, and also provides excellent exhibition opportunities locally and internationally featuring all genres of contemporary art. Programming features work from approximately 30-40 artists each year. Ed Video presents exhibitions in their city of Guelph at various locations, often partnering with other organizations and festivals, to show work in white cube galleries, pop up venues, performance venues, and in public spaces. Ed Video has participated in 15 art fairs since 2012 in 7 countries. Ed Video’s presentation at Art Fair Suomi features contemporary sculpture, video, painting, and embroidery by four artists – Jessica Mensch, Emily Pelstring, Tyler Durbano, and Sharmistha Kar. Presented together, their work will allure audiences by creating a mysterious, voyeuristic, fetish-like atmosphere. The work is curated by Ed Video Program Director Scott McGovern. Also featured will be a live multimedia performance of ‘Mourning of the Living Past’ by the Inflatable Deities (Jessica Mensch and Emily Pelstring). Elektrozavod gallery is a non-profit experimental exhibition space located at territory of ex Research Institute of Long-range Radio Communication in Moscow. Since the foundation, main mission of the gallery has been to accomplish different pilot projects in the field of contemporary art and supporting Russian young art-scene through exhibitions, meetings with artists, festivals and discovering new names in art for the wide audience. Independent from public and private institutions Elektrozavod gallery was opened by the initiative of the artist Leonid Larionov in December 2012 by assembling a team of like-minded artists. Artists build exhibition plan themselves: in addition to the creation of individual projects, they rule their own group exhibitions as curators, invite independent curators and authors of personal projects. Since 2012 Elektrozavod has exhibited numerous artists and formed their own community. All of the earlier exhibitors were asked to do small two-dimensional works, size 10×15 cm, or 20×30 cm. Part of the exposition booth walls will be filled with a lot of stickers-figures dedicated to all people who are connected with Elektrozavod, to the activities of the gallery as a whole, and to certain events in particular. Visitors will be given the opportunity to participate in the exposition and glue stickers on the walls next to the works creating new meaning chains. Galleri Konstepidemin is an artist-run exhibition space for contemporary local and international art.The gallery consists of several exhibition venues with different characters, traditional exhibition rooms as well as experimental areas that works well for installations and site-specific art. Professional artists collectively develop the exhibitions program. Alongside the curatorial process Konstepidemin strives to improve the working conditions for exhibiting artists as well as the status of art in society. The gallery was founded 1986 and is placed in an artist-run center Konstepidemin, one of Sweden`s largest workplaces for independent artists. Konstepidemin has an artist-in-residens program, and it is a member of Res Artis and Trans Europe Halles. Konstepidemin collaborates with Laspis, the Swedish Arts Grants Committee’s International Programme for Visual and Applied Artists. For the exhibition at Art Fair Suomi Galleri Konstepidemin is pleased to present works by four artists from different genres and generations. Marie Holmgren´s fascination for the interaction between nature and the human body shows in her latest works. Tomas Lundgren’s work revolves around images as history and memory. Often based on archival imagery he recreates and reinterprets parts of the past through painting in greyscale. Pia Mauno`s work samples from surrealism and textile culture heritage. The textile: the fold, the draping and the disguise, construction and deconstruction is theme also be found in her initiative to the think tank “Tailor as rebel”. Love Hulten mixes artist and craftsman fusing traditional artisan knowledge with modern technology. With delicate execution and mystique, he aims to breathe life into objects and create personal stories. 3:e Våningen, an artist-run Dance Venue, Studio and Art Space, is 600 square metres dedicated to contemporary dance and art, focusing on choreographic and spatial expressions. The venue holds a black box and a white space. In this trans-disciplinary environment new works are created throughout the year. Broad national and international networks enable carefully selected guest performances. 3:e Våningen is located at the harbour entrance of Göteborg, in an old 19th century factory, alongside many other artists, studios and creative businesses. 3:e Våningen is home venue for choreographers Gun Lund and Olof Persson and their companies E=mc2 Dance and Olof Persson Projects. It is also a space for choreographers and dance companies from Göteborg and the West Coast area, offering them possibilities for long rehearsal and performance periods. Each year a number of international dance productions are invited and presented at 3:e Våningen. Collaborations and exchanges are of particular interest to the venue and the hosting dance companies. Off the Wall, an installation by Olof Persson and David Sabel, is a series of works with electronic filter of Liquid crystals on glass surfaces. Filters that can change the glass from transparent to diffuse. MŰTŐ, since 2016, is an art collective and an independent platform in Budapest. MŰTŐ has been developed through exhibitions, workshops, music events, in many cases involving members, individuals and institutions from other, interdisciplinary fields. MŰTŐ presents a professionally diverse program going beyond visual-centered art and introducing music and other art projects. The members of MŰTŐ are Lili Agg, Bence Barta, Nikolett Balázs, Dániel Bernáth, Ron Fischer, Zsófia Kókai, Ráhel Anna Molnár, Veronika Romhány and Nóra Teplán. MŰTŐs concept for AFS is transition – Are we able to recall the moment when our feelings change from one form to another? By using different perspectives and media, the artists of MŰTŐ reflect on the general moment of change that relates to the concepts of structures, society, identity, etc. and appears in different levels regarding personal, local and global changes. The exhibition brings the notion of transition in front by the nature of each artwork and invites us to discover transitional moments. Exhibiting artists are Lili Agg, Bence Barta, Nikolett Balázs, Dániel Bernáth, Ron Fischer, Veronika Romhány and Nóra Teplán. Ergastule is an artist-run space founded in 2008 by ten visual artists. Its goal is to promote contemporary art by offering tools to create artworks and exhibition opportunities in its studios in Nancy (France). Ergastule also organizes off-site temporary group exhibitions. Ergastule invites artists to realize and further develop their projects as well as to learn new skills. It aims to create novel situations but is also interested in traditional techniques and know-hows that could serve the artists in their artistic research. Atelier’s projects vary in technique from glass-blowing to kiln cast glass and ceramics, and from resins and polymers to engraving, drawing and photography. At Art Fair Suomi Ergastule will showcase works from its members, including different techniques, competences and know-hows in which they develop their comtemporary artistic research. Drive-In of Sound Art is an out-door artist-run sound gallery located along the high way. It was first launched in 2013 in a rural district of Råde, in the southern part of Norway where plenty of cars were passing by during the summer. The driver could easily access the gallery by placing the car along the Drive-In, open the window and listen to very profiled sound artists and experience the trip, sounds and landscape in new ways. All the Drive In´s work independently on renewable energy using sun and wind power. Today there are two different Drive-In’s touring Norway and one touring the Nordic countries. More than fifty sound artists have been exhibited within the past five years. THE ROOM BELOW is an artist-run organization that has been curating art projects and workshops since 2006. THE ROOM BELOW, opened in 2013, is an art gallery which is supporting emerging talents. They work with both established artists as well as outsider artists. The gallery’s aim is to foster dialogue and create networks, transgressing cultures and geographical borders.